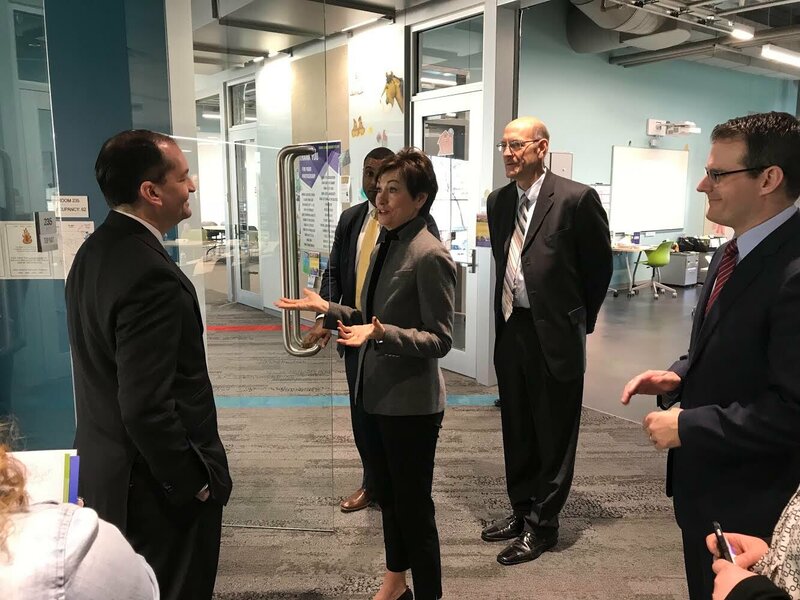 United States Labor Secretary Alexander Acosta received a firsthand look at the Global Insurance Symposium (GIS) “smart home” during a visit to Waukee Aspiring Professional Experience (APEX) on Wednesday, April 4. 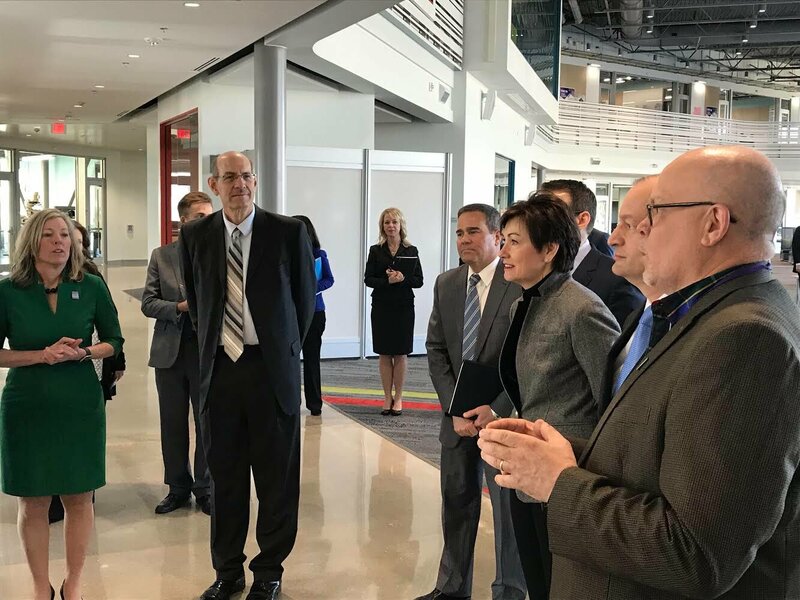 Secretary Acosta joined Governor Kim Reynolds, Lieutenant Governor Adam Gregg, and Iowa Insurance Commissioner Doug Ommen at the local high school to learn about the program’s talent cultivation and workforce development program. 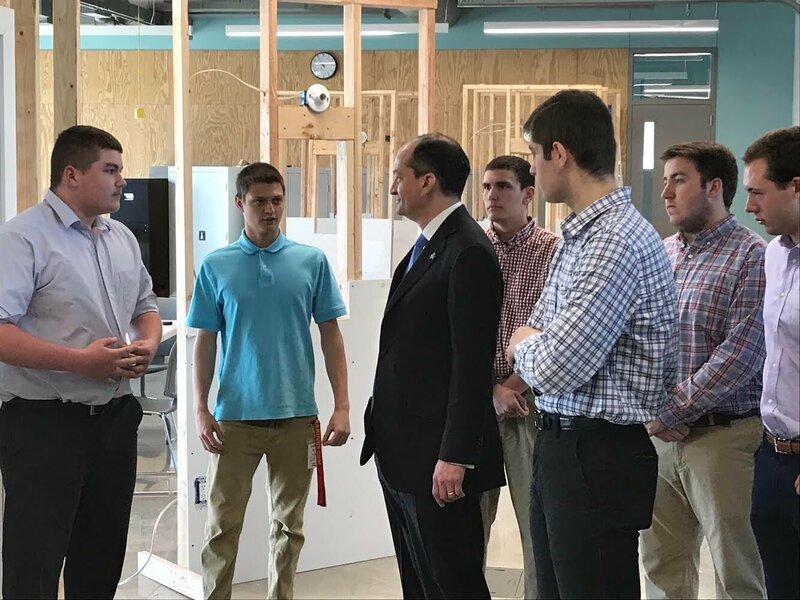 As part of his facility tour, Secretary Acosta observed the smart home exhibit the APEX building and trades students have constructed for the 2018 GIS in late April. It will be on display throughout the event at the Iowa Events Center in Des Moines. The interactive smart home exhibit will showcase Internet of Things technology for smart houses, designed to make residences safer and more efficient with an end goal of positively impacting consumers, businesses, and insurers. The structure will offer attendees a close-up look at how these technologies work and how they impact the insurance industry. The GIS has partnered with the Waukee APEX for the past several years. Students have helped in coordinating event efforts, marketing, and data evaluation. 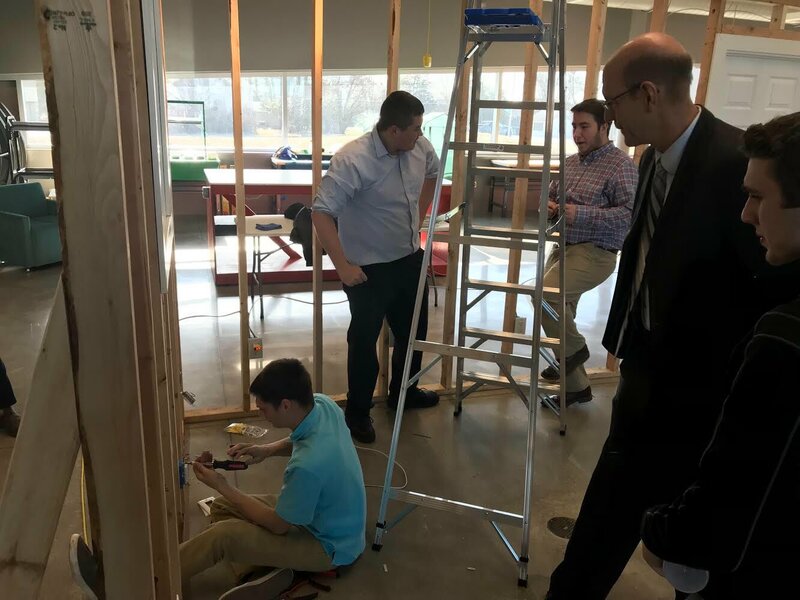 This year, the building and construction experience has been a new addition to the APEX students’ involvement. The 2018 GIS will be held from April 24-26, in downtown Des Moines, Iowa. For more information on the event, visit https://globalinsurancesymposium.com/.